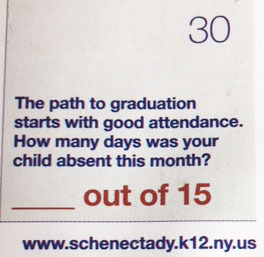 Are you tracking your child’s attendance? 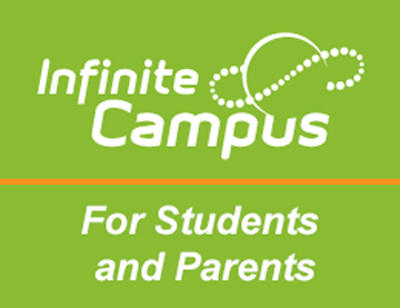 Have you registered to login to the Infinit e Campus Parent Portal? One way you can stay informed and know your child’s number is by logging into the portal. This portal, or student information system, provides you with access to your child’s schedule, attendance, grades, behavior, assessment and other information. 1 - Fill out the attached form. 2 - Send the form to your student’s school with a copy of I.D. If you cannot make a copy of your ID, your school office can make one for you. 3 - Check your email for an invitation to create your Parent Portal account. You only need to sign up once. Your account is active for as long as your children are students in the district. We also created a video to help you understand the Parent Portal registration process. If you have questions or need assistance setting up or accessing your account, please contact our Parent Portal team by clicking on Let’s Talk. Select “Parent Portal” under the Central Office options. Our Campus Portal webpage includes a video tutorial and other resources. You can watch the video tutorial and download the mobile app from here. We also encourage you to keep a tally of the days that your child is out each month by writing them in the space provided on the bottom of the district calendar.